Hola! I’m Nayantara- a traveling seamstress on a special project here in Ollantaytambo with Awamaki Lab. 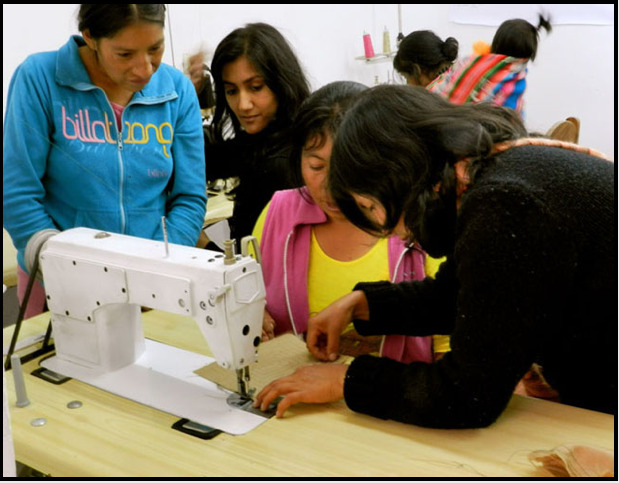 Since the “traveling” aspect of my job normally just means racing around the streets of North Brooklyn with garment bag in tow, this is a whole different kind of endeavor: here I am not altering or fixing clothing, but instead, sharing my love of sewing through classes with a women’s artisanal crafts cooperative in the stunningly beautiful Sacred Valley. Follow my adventures in sewing here!